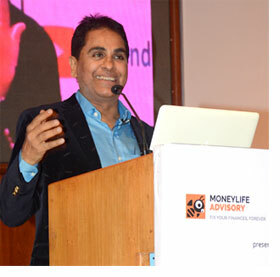 Moneylife Advisory on Saturday launched its much awaited 'Ask Vijay Kedia' microsite that aims to provide answers on stock market investing from the ace investor. 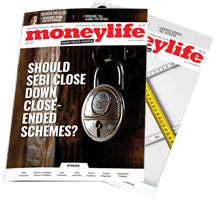 The microsite https://advisor.moneylife.in/askvijaykedia was launched by Ashish Chauhan, Managing Director and Chief Executive of BSE. 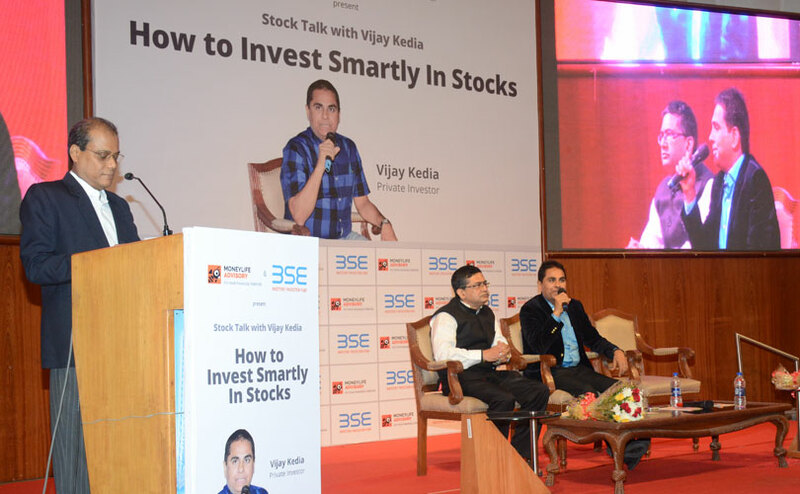 Mr Kedia, one of the very successful investor holds more than 1% stake in many companies, and is a popular figure in social media and TV channels for his straight forward approach. 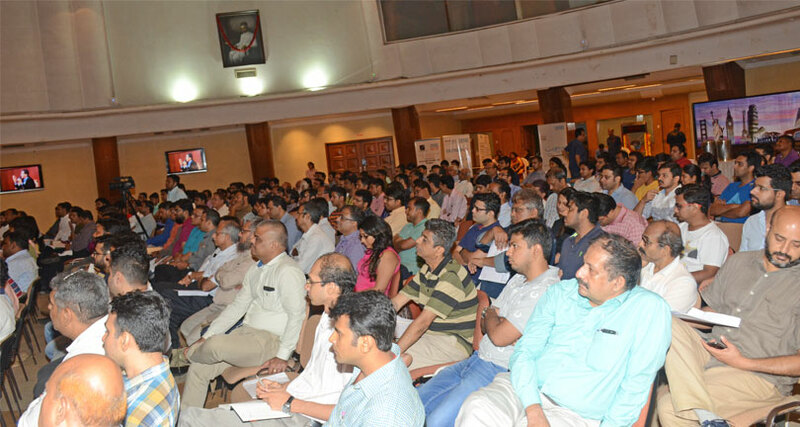 Explaining the thought process behind the creation of the free microsite, Debashis Basu, Co-Founder of Moneylife, said, "In his presentation last time Mr Kedia shared with us his entire journey an investor, the mistakes he made, the lessons he learned and his successes. He is now a popular figure in social media and TV channels. We are always struck by his conviction, clarity and candidness. If you ask him a question, you will get a straight answer. No beating about the bush. We, at Moneylife, like that quality very much." "After the last year's event Mr Kedia told us that he was very keen on doing something concrete to guide retail investor and stop them from making the mistakes that every novice makes in a hurry to get rich quickly. He was pained to see people making basic mistakes such as having a short-term mind-set, or trading in futures and options or taking some other unnecessary risk. After several conversations and much brainstorming, we came up with the idea of a series of video interviews that cover all the basics," Mr Basu added. Moneylife Advisory, launched in 2014, has a fiercely pro-consumer stance and a proven record of ethical dealing. It offers honest opinions about financial products and unbiased solutions that are backed by intense research. The objective is to help people stay away the problems of mis-selling, commission driven churning and dubious recommendations, as also to stay on the path of saving and investing. 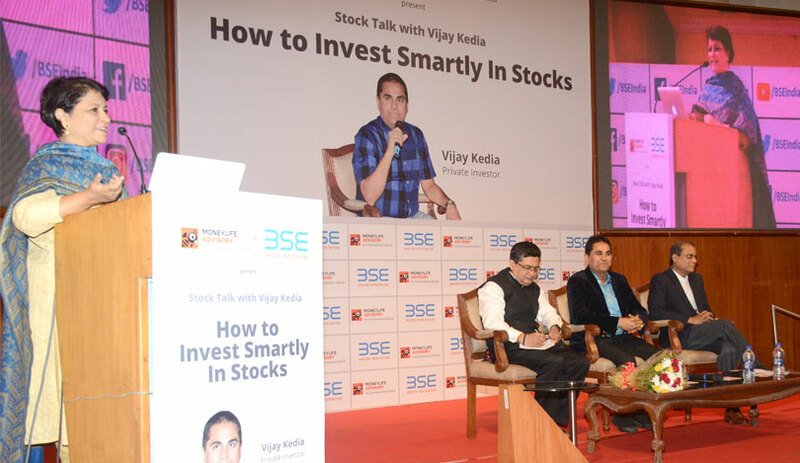 Mr Kedia while sharing his knowledge gained for over three decades in the stock market investing replied to several questions in his candid style. The ace investor was also subjected to a googly from the audience. Hussain Kagzi, an admirer of Mr Kedia, said, "Over and above your investing knowledge and practices, what I admire the most about you is the qualities you have as a person. There is an aura of Zen and positivity around you. My question is with regards to that. Like the 10 points that you shared at IIM-B about market investing, What are the principles or values that you follow in life? What are things that you would advice us to do which might help us become a better person?" Rathi Ravi was interested in knowing how a first time investor should allocate funds in different categories of stocks, like slow grower, stalwarts, fast growers, and turnarounds. “I never bought slow growers! Some (stock) may have become slow growers after I bought them. So I look up to a turnaround or beaten down stock where the valuation may be low. Identity a stock of a fast growing company with a turnaround possibility,” Mr Kedia replied. "How do you build conviction in a stock and have the ability to hold on to positions when the market is completely against you?' was the next question fired at Mr Kedia by Aditya Nahar. Atul Jadia had two interesting questions for Mr Kedia. 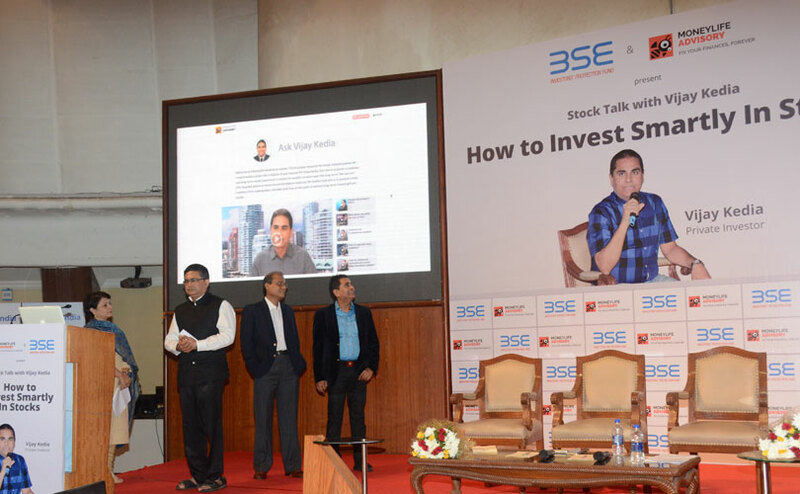 He said, "Can one person be a trader as well as investor and does luck play any role in Investments." No speeches but entirely questions based program. I am happy I attended the program. This is one project I tend to disagree with MAS, the real investor's of India are lone wolf. Mostly they live in seclusion, their methods are customized and many of them have no presence on internet. Hopefully those towering investing personalities will open up one day. Of course nothing takes away from MAS effort or their fearless journalism. Vijay sir has been an inspiration to many long term investors. Positive domestic macro-economic data and a strong rupee cheered the Indian equity markets on Monday. Investors' sentiments were buoyed by official data released after market hours on Friday -- Wholesale Price Index (WPI) and Consumer Price Index (CPI) -- which showed that inflation eased in April. The data on annual rate of inflation was calculated on a revised base year of 2011-12. However, India's factory output growth slowed to 2.7% in March on the back of poor manufacturing performance in the new Index of Industrial Production (IIP) with revised base year of 2011-12. 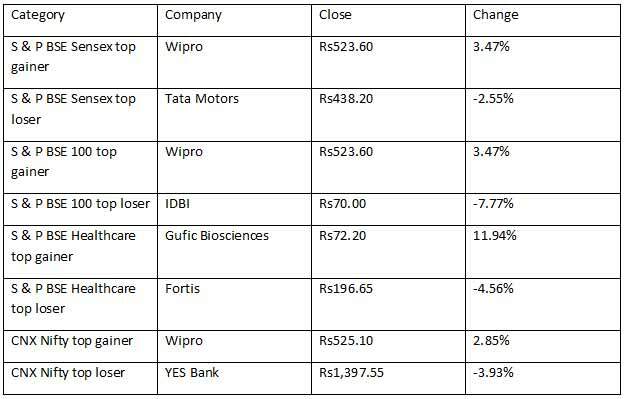 The key indices traded with gains of close to half a per cent each during the mid-afternoon trade session, as buying was witnessed in banking, metal and healthcare stocks. Private sector lender ICICI Bank on Monday said that it has reduced interest rates by up to 30 basis points (bps) for home loans of up to Rs30 lakh. "With this reduction, salaried borrowers can avail home loans at among the lowest rates in the industry. Salaried women borrowers will get home loans at 8.35% and others at 8.40%," the private sector lender said in a statement. According to ICICI Bank, customers from economically weaker section (EWS) and low income group (LIG) can avail the dual benefit of low interest rates and credit linked subsidy under the Pradhan Mantri Awas Yojana. ICICI Bank shares closed at Rs302.05, up 1.82% on the BSE. The wider 51-scrip Nifty of the National Stock Exchange (NSE) crossed the 9,500-mark for the first time during the mid-afternoon trade session on Tuesday. Around 2 p.m., the NSE Nifty traded at 9,503.50 points -- up 58.10 points or 0.62%. 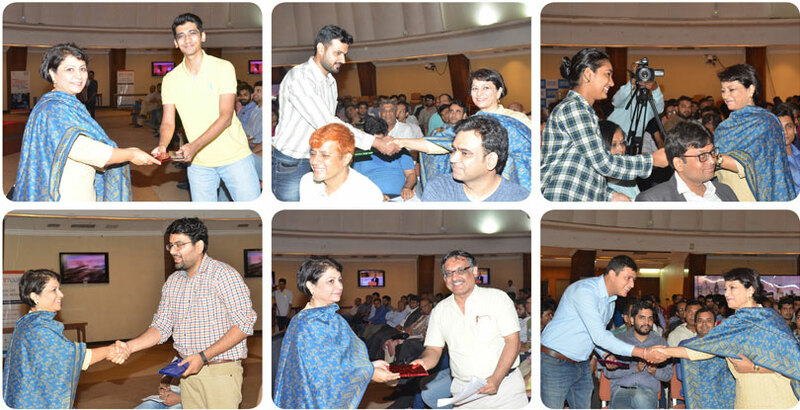 According to market observers, positive global cues, coupled with healthy macro-economic data and expectations of a normal monsoon lifted the Indian equity markets to record high levels intra-day. 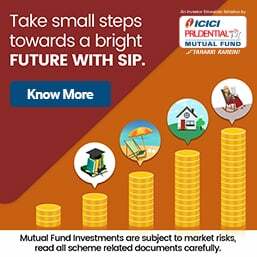 Healthy macroeconomic trends, prediction of a normal monsoon and the news on EFPO (Employee Provident Fund Organisation) increasing its equity investment limits led to the rise, observed market analysts. According to market analysts, buying was witnessed in consumer durables, automobile, banking and IT (information technology) stocks. Sector-wise, the S&P BSE consumer durables index augmented by 122.50 points, followed by the automobile index by 112.28 points and the banking index by 72.90 points. IT (information technology) major Tata Consultancy Services (TCS) on Monday said it will commence its Rs 16,000 crore share buy-back program from Thursday. The company said that it will start the process after securities markets regulator Sebi gave its approval to the share buy-back plan. According to a regulatory filing with BSE, the IT major through letter dated 12 May 2017 has received the final observations from Sebi on the draft letter of offer for the buy-back dated 25 April 2017. "In accordance with the Securities and Exchange Board of India (Buyback of Securities) Regulations, 1998, the company will dispatch the Letter of Offer for the Buyback to eligible shareholders appearing on the record date of 8 May 2017, on or before 16 May 2017," the company said in the filing. On 20 February 2017, the global software major announced that it will buy back up to 5.61 crore equity shares of Re1 face value for Rs16,000 crore. TCS shares closed at Rs2,427.25, up 2.66% on the BSE. The key Indian equity indices touched new intra-day highs during the mid-afternoon trade session on Wednesday, as a strong rupee and healthy buying in metal and automobile stocks buoyed investors' sentiments. Around 2 p.m. on Wednesday, the NSE Nifty rose by 15.40 points or 0.16% to 9,527.65 points. Investors remained firm ahead of a crucial GST (Goods and Services Tax) panel meet in Srinagar starting on Thursday. Both the benchmark indices touched all-time high levels. Appreciation of the rupee against the US dollar also supported the firmness, according to market analysts. Bharti Airtel on Wednesday announced new plans for its home broadband users, offering up to 100% more high-speed data benefits within the same monthly rentals. "Our new plans are aimed at putting India onto the digital super highway and complement our superfast broadband offerings like ‘V-Fiber'," said Hemanth Kumar Guruswamy, CEO - Homes, Bharti Airtel (India). In-home high speed data consumption in India is increasing exponentially and to serve this growing demand and enable a seamless high speed data experience in a multi-device environment, Airtel has built a future ready network and introduced ‘V-Fiber' that delivers consistently superfast broadband speeds of up to 100 Mbps to homes, the company statement said. Airtel's refreshed broadband plans are designed for ‘V-Fiber' superfast broadband. Bharti Airtel closed at Rs376.00, up 0.35% on the BSE. After three consecutive days of record highs during the week, the Indian equity markets slipped on Thursday tracking bearish global cues, a weak rupee and heavy selling pressure in automobile, capital goods and consumer durables stocks. According to market observers, investors were also cautious over the ongoing two-day meet of the Good and Services Tax (GST) Council in Srinagar, which will finalise tax slabs on services and commodities in the country. On the NSE, there were 236 advances, 1,285 declines and 61 unchanged. The BSE market breadth was bearish -- with 2,043 declines and 702 advances. Power utility CESC Ltd announced a business restructuring scheme which is based on demerger of certain existing businesses, group's Chairman Sanjiv Goenka said on Thursday. "This (the restructuring scheme) will lead to four entities focusing on generation, distribution, organised retail and other ventures," he said. All four entities will be listed with stock exchanges, Goenka said. The business restructuring scheme aims to simplify the present corporate structure, he added. The company’s shares closed at Rs829.80, down 15.10% on the BSE, on Thursday. Axis Bank on Thursday announced 30 basis points (bps) reduction in its home loan interest rates to promote affordable housing finance. "Taking forward its commitment towards affordable housing finance, the bank has revised its rates for home loans up to Rs 30 lakh for the salaried segment to 8.35%, the lowest in the industry," the bank said in a statement. For self-employed, rates for home loan up to Rs30 lakh have been revised to 8.40%. The revised rates will be available with effect from May 16. The bank’s shares closed at Rs491.85, down 2.15% on the BSE. Indian equity markets traded on a flat-to-negative note during the mid-afternoon trade session on Friday, as investors booked profits and automobile, consumer durables and capital goods stocks faced selling pressure. The key indices, which opened on a higher note following a rebound in global cues and the Goods and Services Tax (GST) Council's fitment of 1,211 goods in the tax slabs, were pulled lower during afternoon trade. However, the 30-scrip Sensitive Index (Sensex) of the BSE touched a new intra-day high of 30,712.35 points. It had touched an intra-day high of 30,692.45 points on May 17. At the end of trading on Friday, the S & P BSE Sensex and the Nifty ended flat over Thursday’s close. On Friday, on the NSE, there were 456 advances, 1,026 declines and 65 unchanged. Overall, the week has seen volatile trading, but the weekly gains have been a mere 0.29%-0.92% for the major indices of the Indian stock markets. The intra-day highs of the week only hold promise for the future, as, within the week, the gains have been meagre. Power utility CESC Ltd announced a business restructuring scheme which is based on demerger of certain existing businesses, group's Chairman Sanjiv Goenka said on Thursday. "This (the restructuring scheme) will lead to four entities focusing on generation, distribution, organised retail and other ventures," he said. All four entities will be listed with stock exchanges, Goenka said. The business restructuring scheme aims to simplify the present corporate structure, he added. The company’s shares closed at Rs829.80, down 15.10% on the BSE. British unemployment rate has fallen to 4.6% in three months to March, hitting the lowest since 1975, the Office for National Statistics (ONS) has said. A year earlier the figure was 5.1%. The number of jobless people, who are not in work but seeking and available to work, fell by 53,000 to 1.54 million in the first quarter this year, Xinhua news agency reported on Thursday. Meanwhile, the employment rate, the proportion of 16 to 64 year olds in work, was 74.8%, the highest since comparable records began in 1971. However, despite the sustained fall in unemployment and rise in employment, wage growth has slowed down further, even lagging behind inflation for the first time since mid-2014. Average weekly earnings (excluding bonuses) increased by 2.1% in the three months to March, while inflation rose by 2.3% in the year to March 2017. The Bank of England (BoE) has warned of a consumer spending squeeze this year as inflation rises and real wages fall in its latest Inflation Report. This year will be "a more challenging time for British households" and "wages won't keep up with prices," BoE governor Mark Carney said. The FTSE was at 7,401.01 down 1.37% in London on Thursday at around 16:20 p.m. IST. In a bid to deal with economic offenders like liquor baron Vijay Mallya, who flee the country to escape the legal process, the government on Thursday said it has prepared a draft legislation to enable confiscation of their assets. The draft law -- Fugitive Economic Offenders Bill, 2017 -- has been prepared and put in public domain at the Department of Economic Affairs, Ministry of Finance, website for comments and suggestions of all stakeholders. "It is widely felt that the spectre of high-value economic offenders absconding from India to defy the legal process seriously undermines the rule of law in India," the Finance Ministry said here in a statement. "It is, therefore, felt necessary to provide an effective, expeditious and constitutionally permissible deterrent to ensure that such actions are curbed," the statement said. "The government is considering to introduce legislative changes or even a new law to confiscate the assets of such absconders till they submit to the jurisdiction of the appropriate legal forum," the statement added. All stakeholders need to submit their suggestions by June 3. The legislative action is part of the Union Budget announcement. The Bank Nifty closed at 22,698.60, down 1.03% on the NSE.